Please Note: These bags are authentic used burlap sacks. They may have dirt, stains, holes, and odors associated with their former use. Bags are selected at random and orders may consist of all of the same print or a variety of prints, or different prints than shown. 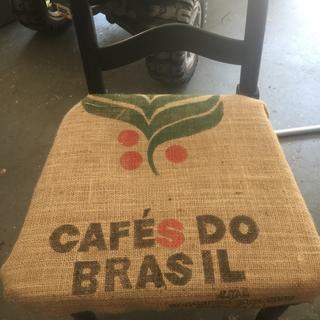 Authentic burlap coffee bags, marked with the country of origin. These bags have been used to store and transport real coffee beans, so they have a distressed appearance and rich coffee smell. Fantastic for décor or craft projects that call for a rustic or global look. I selected these bags for crafting projects. Great sacks at a great price. Free shipping! Because I like the uniquness of these bags. Want to use for putting Christmas presents in. Hoping they will fit on the wedge foam. If not, will find another use. I've been told that lining my chicken coops with these bags helps keep bedding dry. I volunteer at Newport Bay Conservancy a protected estuary in Newport Beach, CA. These bags are perfect for litter collection during events like Coastal Cleanup Day in September Reusable so not creating more trash.while collecting trash. Natural fibers drain much better than plastic. Looking for storage for tulip bulbs, to keep them cool and dry until planting. If they’re cool-looking, that’s a bonus. Good product & shipping price, easy to deal with. Pawpaw trees need shelter from the sun when they are small. I am going to construct individual shelters using these bags. These are perfect for wetting down and covering oysters or clams on a grate over an open fire...Produces great roasted oysters/clams. Be sure to keep the burlap wet! Fill with foam packaging material to appear full of coffee beans and use as a prop in a small coffee shop. To cover a window on my (coffee themed decor) kitchen door. Just what I was looking for and great price! Price and shipping cost was not more than the product!!! Thank you! A good deal for the money. To use on the doors of my coffee cabinet. I plan to use these to grow potatoes in, for other garden uses, and to protect items when moving. These used burlap coffee bags are perfect as planters and I am glad that I can extend the use of it and then returning it back to the earth. To grow potatoes in my garden. I’m decorating a cafeteria for a cafe event at Riker’s Island jail in New York City where I have been teaching the young adult inmates barista skills so they will have different opportunities when they are released. I will be using these accents. Is the bag featured in the image the only option? Thank you. BEST ANSWER: I ordered 12 of these and they were all the same. They look like this on the front, and have a little bit of writing on the back. There is currently another option for used coffee bags that say "Product of Columbia" called "authentic printed sisal coffee bags-used." This is the bag you would get if you ordered this item. We do have other printed burlap bags, but they're not previously used like this one. Are these washable as I'd like to make cafe curtains with these ? BEST ANSWER: They become much softer and wrinkled when they're washed, but I think that would be good for café curtains or for similar products, but definitely wash first before sewing with them. They do better hand washed or at least on the gentle cycle. Re-shape and dry flat for the best results. Of the 12 I bought, one had a bit of color-fastness problem with the green of the leaves. To be safe with the next batch I buy I plan to soak them in Retayne or a similar product before washing. They can be washed but do not hold any shape at all after washing and do shed a lot. I wouldn't recommend washing. Is there any printing on the back of the bag? BEST ANSWER: Possibly. We cannot guarantee that there won't be any printing on the back, but more than likely there won't be. Hello: Can you provide top cut only? BEST ANSWER: For this inquiry, please contact our customer service at either help@onlinefabricstore.net or 877-781-2967 Monday - Friday, 9am - 5pm EST. If I order 10 bags how much is shipping? I live in burnet texas. Do these sell through Amazon? BEST ANSWER: Standard shipping is currently free for orders $50 and over to the contiguous United States. Orders under $50 have a flat rate shipping fee of $7.49. Will this bag keep out the winter cold? I plan to use to cover plotted plants. Winters here are fairly mild. 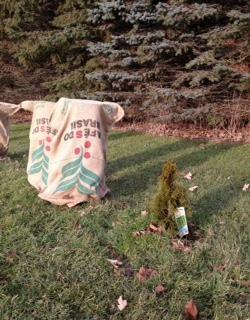 BEST ANSWER: Yes, burlap is commonly used to help protect plants from the cold. Is the opening in the top a random cut, or is it opened at a seam? BEST ANSWER: It has a somewhat finished seam at the top so that the fibers don't unravel. Are there different bags or just this one? BEST ANSWER: They are mostly this bag but do come with a few other varieties - I order about 30 at a time. When I placed my order of 10 bags, there were 3 different ones in my order. Has anyone used these to cover bar stools? BEST ANSWER: I would not know. They are very coarse and thin, and the fibers are everywhere. They shed and would be very itchy! I don't think they would be very durable or comfortable. I use them to make wreaths. The weave on the batch that I received is fairly loose. Not sure a barstool would hold up to regular use. What is the shipping time on 15 bags?? 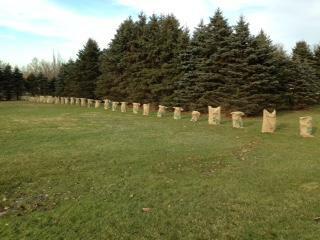 I would like to use sacks for family reunion sack racing. What is the height and width of the sack? BEST ANSWER: This bag is approximately 27 inches wide and 40 inches tall. I want to use for crafts. Could I get a variety? BEST ANSWER: Bags are selected at random and we cannot guaratee which ones you will get. Can you supply such used burlap bags in large volumes for recycling? BEST ANSWER: What do you consider large volumes? I'd suggest contacting our customer service about stock questions at either help@onlinefabricstore.net or 877-781-2967 Monday - Friday, 9am - 5pm EST. Wonderful product. They look like new. Worked Great for our project! Was no strong smell. I sell these at my shop. Folks love the writing on them! Also use them for my punkins!! These bags are perfect for roasting oysters and clams on a grate over an open fire. Pre-soaking the bags and keeping them wet during cooking provides very moist oysters and clams. Reasonably priced. This is my second purchase...If you are not careful, you will burn the bags while cooking. Keep them wet! These I plan to hand over my back door. Will use same hooks I am using for kitchen. I think they will handle the traffic and keep the summer sun at bay. 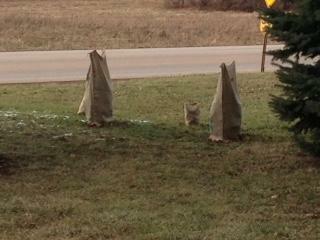 We looked on other websites for burlap to wrap our trees in. these bags were the solution and really the most bang for your buck. They are real sturdy and will last several years even though they will be out in the horrible winter weather we get in Central New York. High winds, Deep snow and I think the coffee bean smell keeps the deer at bay. 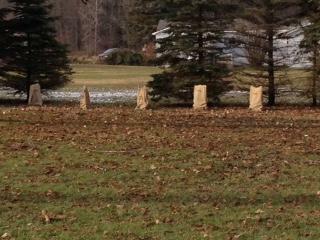 I used 3' fence stakes to hold them over the 1, 2 & 3 foot high trees. Thanks for Recycling that counts! Finally found these bags priced fairly, as well won't require me to pickup also expending other resources. Going to cover my dining room chairs!